I hope that you all are fully recovered from these awesome and exciting days in Barcelona. Now, when I’m adapted to the Dutch climate again I had time to sort out the many great pictures we made. Here is a collection of my favourite shots. Thank you all for contributing to this amazing experience. Special thanks go to Noordwijk Marketing for organising a really cool beach party. Looking for the Holland Booth? Just follow the orange stickers. What a huge team we have this time. The Holland Crew can’t wait to meet you. Our lovely hostesses take care for all your needs. Have you seen me in the rest rooms. I hope I did not scare off the ladies. Tried Google Glasses for the first time. What a crazy invention. 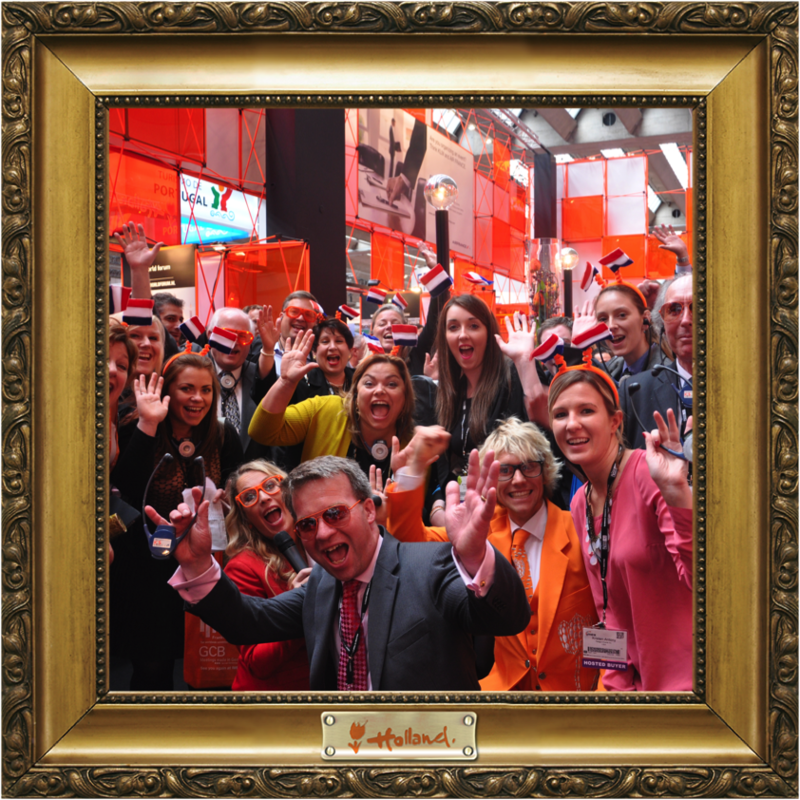 With this frame we created great masterpieces with all the visitors of #EIBTM13. Preparing the great beach party arranged by Noordwijk Marketing. Cool shirts! … and pre-tasting the cocktails. That’s what summer should look like! Surprise! The Holland Crew was awarded by EIBTM for the Best Stand Personnel. We all were so happy with this trophy! Let’s celebrate this with champagne. Now everybody is in the mood to party. So let’s get up, sing and dance. 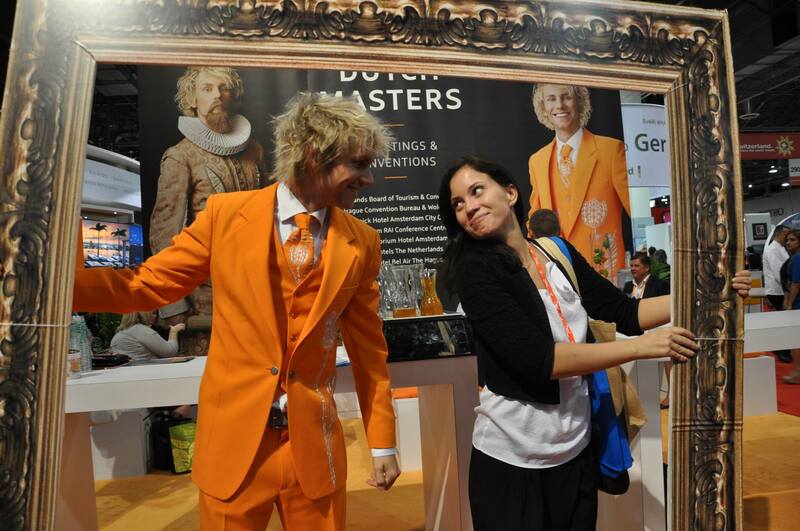 A big hug from the Netherlands Board of Tourism and Conventions for all the great people, who visited the Holland Booth. Bye, bye Barcelona. See you next year. Are you one of the hosted buyers, who took a picture with me at my Holland booth? Then you should visit my Facebook Page to tag yourself in our picture and participate in my photo contest. A trip to Holland is waiting for you! Are you counting the last hours as I am? Only two days left until EIBTM 2013 opens the doors to the show floor and I’m so excited to meet many old and new friends again. This week I tried to make a lot of buzz to inform you all about the prize you can win at our booth. After we created so many great masterpieces during IMEX America, we are hungry for more. Therefore my Holland crew has decided to offer a trip to Holland again for the best EIBTM Masterpiece. Holland is the home of many remarkable artistic talents. Great master like, Van Gogh, Rembrandt and Vermeer have changed the world of art with their paintings. During EIBTM 2013 we offer you the unique opportunity to create a masterpiece yourself by taking a picture of you and me. For hosted buyers, this picture is the ticket to enter the Facebook competition. After your visit, you will receive a card with all instructions to join the competition. As a first step, I invite you to visit my Facebook page. Find the photo we took together in the album EIBTM 2013 and tag yourself. To win the first prize you need help. Ask all your friends, colleagues and family members to like your photo. The prize is yours, if you get the most ‘Likes’. The first prize is a trip to Holland for two people, including flight with KLM (economy class), 3 nights at Mövenpick Hotel Amsterdam City Centre plus breakfast. You will receive two tickets for the Rijksmuseum, so that you can discover the Dutch masterpieces yourself. The top ten participants will receive their photo on a canvas, as a personal take-home masterpiece. Check my previous blogpost to get an impression of what you can expect from your trip to Holland. It would be great to meet you at my booth during EIBTM. Will you come? Counting down the final hours until the international meeting and event industry will gather in Barcelona for EIBTM 2013. I am really looking forward to meet you all, so just watch out for my orange suit and make sure that the Holland Meeting Point lies on your direction. We have prepared some orange special for you. The best news is: you can win a trip to Holland. This year I would like to introduce you to some special friends: all my friends and partners from seaside resort Noordwijk will join me at my booth. They are planning to throw a beach party on Wednesday 20th of November from 17.00 to 19.00 at the Holland booth H10. Would you like to revive the summer? Then join us, and don’t forget to bring your friends. I’d love to welcome you at the Holland booth (H10). Let’s take a picture together to create a real Dutch masterpiece, which will enable you to become the lucky winner of an awesome trip to Holland. Keep an eye on my blog: on Sunday I will tell you more about it. In the last weeks I have explored the best meeting destinations in Holland for you. I showed you Amsterdam, Rotterdam, The Hague, Groningen, Utrecht and Noordwijk. To bring this series to an end, I would like to introduce you to one last option. Try the combination of meeting in Amsterdam and sleeping in Noordwijk. I know that most meeting planners prefer keeping things a easy as possible by choosing a location close to the airport or train station and booking the meeting room and guest accommodations in the same hotel. However, sometimes a combination between two cities can have some advantages. Amsterdam has more attractions but crowded and noisy. Noordwijk has a beautiful landscape, but has not a lively nightlife as Amsterdam. When combining both cities, your guest can decide what they want to do after the meeting themselves: discover the city of Amsterdam and dance the night away or have a relaxed dinner at the beach. Amsterdam is way more expensive than the surrounding cities. Safe your budget by getting a better deal for the accommodations in Noordwijk. You are less dependent on the weather. On rainy days there are plenty of indoor activities in Amsterdam. When the sun is shining and the sky is blue you can enjoy the beautiful beaches of Noordwijk. It pays off that Holland is much more compact than other countries. Amsterdam and Noordwijk are both close to Schiphol Airport. You can use the public transport network, taxi services or shuttle busses to travel between both cities. If you want some tips for conference hotels you can check my reports about Amsterdam and Noordwijk. Here are some tips for cosy meeting venues in Amsterdam. Dialogues House, a venue with the missions to create valuable and meaningful encounters to jointly reach new heights. The Falck Studio, a beautiful modern loft for special and intimate meetings. The Playing Circle, this venue has the goal to drag you out of your daily routine and bring your creative juices to flow. De Nieuwe Liefde (New Love), a venue where artists, poets and all other creative minds find new inspiration. It’s completely up to you. Are you tired after the long day? Get a cab back to Noordwijk and spent some lazy hours at the beach. If you can’t get enough of Amsterdam, head to the numerous clubs and pubs. 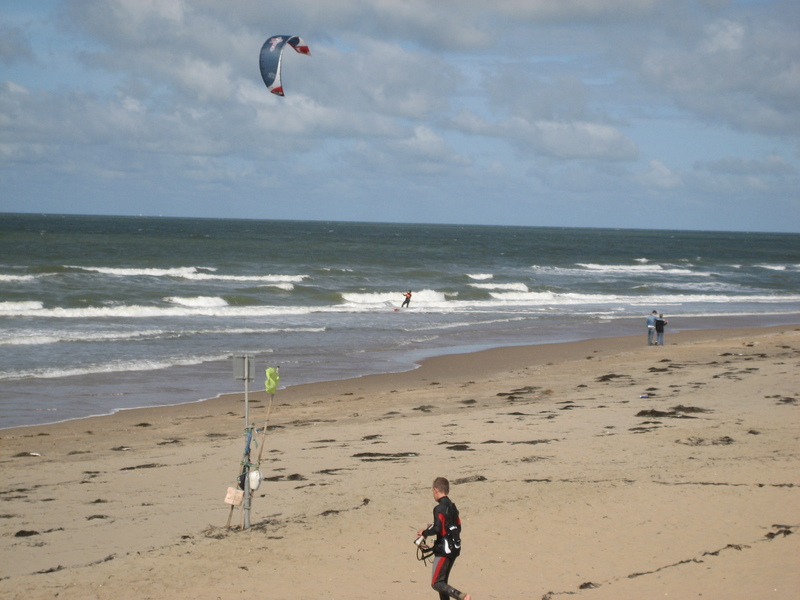 If you love outdoor activities, Noordwijk has plenty activities to offer. Try yourself in surfing, cycle across the dunes or visit the famous flower fields. More interested in cultural activities? Visit the various museums of Amsterdam, take a tour across the canals or hang out the shopping queen before you get back to your hotel. Planning an event at two different locations might demand a little more organization. Fortunately, I have some friends, who can help you with this. The Amsterdam Convention Board can help you with all your questions about meeting facilities in the capital. For accommodation you can contact my friends from Noordwijk Marketing. 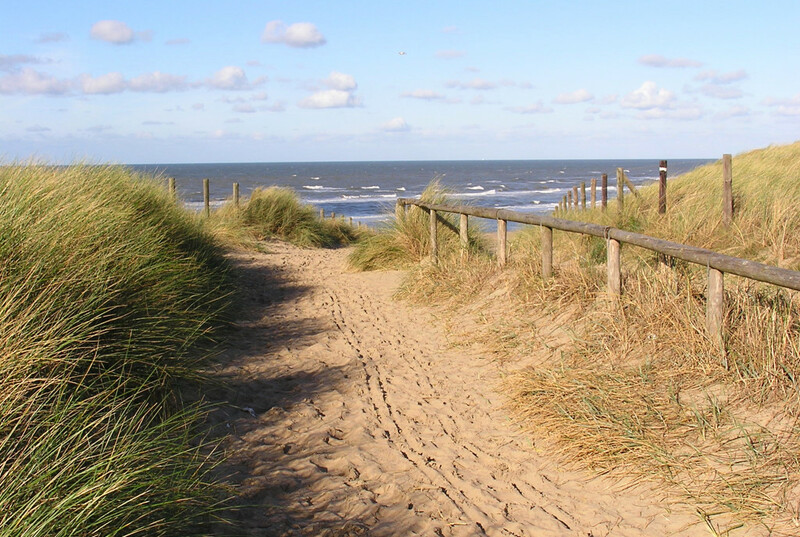 On the shores of the North Sea, surrounded by flower fields, dunes and beaches lies Noordwijk. Once a small fishing village, Noordwijk is now one of the top locations in Holland for meetings and conferences. I have been on site inspection to the coastal town to check out the meeting facilities for you. Noordwijk is a warm and friendly seaside resort. It is a lively backdrop for hosting business events such as meetings, incentives and conventions. Combining the charms of a holiday destination with the professionality of a business town, Noordwijk is an attractive location for large and small corporate events. Noordwijk is reigned by a strong team spirirt. The cooperation between local businesses is exemplary. The big congress hotels are within walking distance of each other offer the perfect infrastructure for any business meeting or conference in Noordwijk. The small town has hosted NATO meetings, international fund-raising congresses and Pricewaterhouse Cooper Global conferences. Hotels, restaurants, shops and the local government work together to provide meeting delegates the best possible hospitality. The Dutch national football team chooses Noordwijk as a home base in preparing for important international games. This spirit makes Noordwijk a perfect destination for teambuilding. The town and the beach offer various group activities that will build trust and commitment among employees. 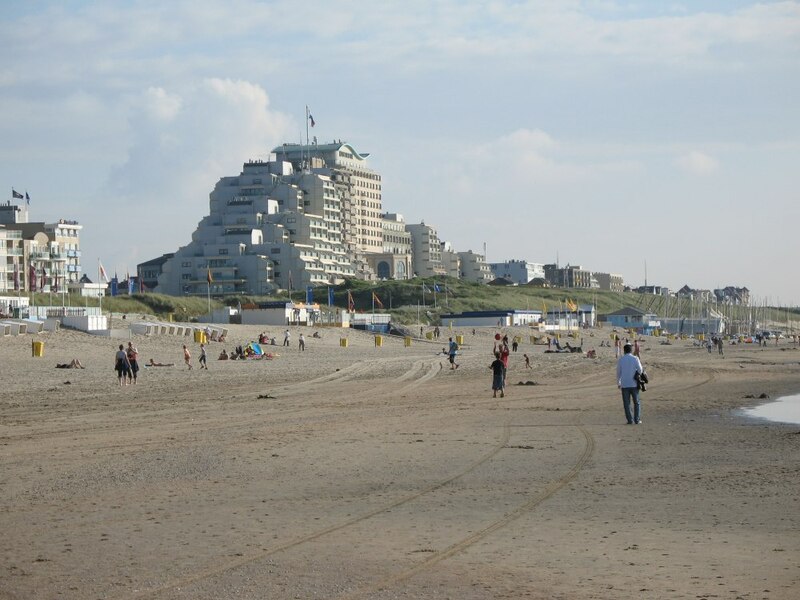 Due to its central location, Noordwijk is easily accessible via common modes of transport. 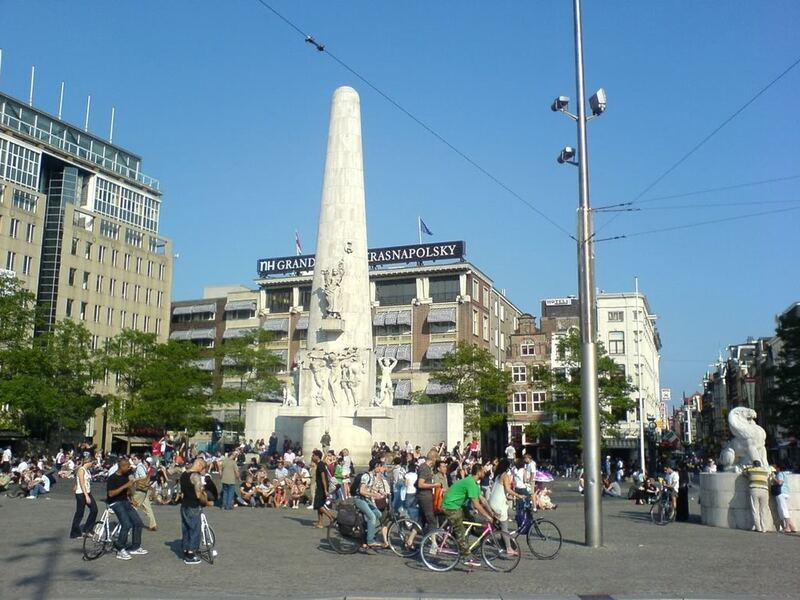 Amsterdam and Schiphol Airport are less than a 30 minute-drive away and The Hague, Leiden and Rotterdam Airport are close. 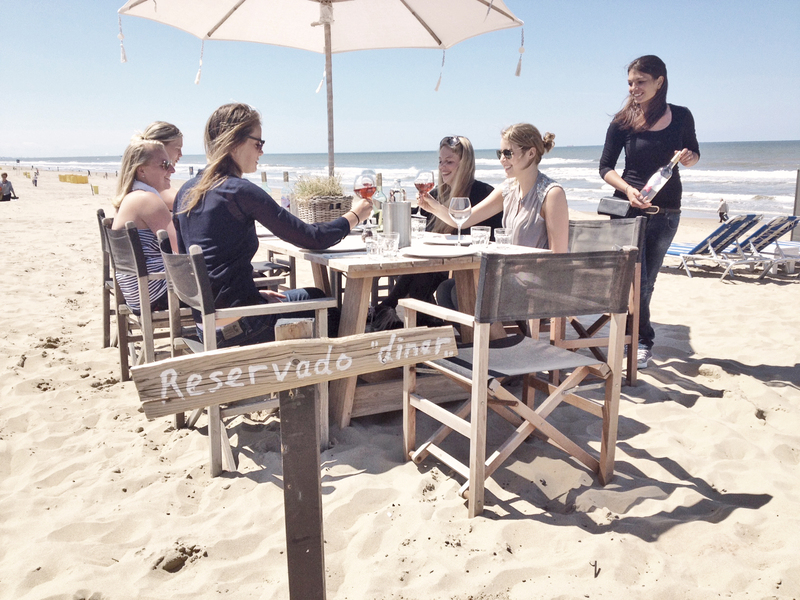 Whether you prefer a 5* hotel or a more casual accommodation, Noordwijk has it all. Here are my favourite places. If you have time left after your meeting I recommend you to enjoy the beautiful nature Noordwijk is blessed with. The cosy coastal town is also know as the flower seaside resort because of its closeness to the famous flower fields and the annual Flower Parade. Stretching over 13 kilometres, the beach at Noordwijk offers peace and quiet as well as a host of outdoor pursuits, ranging from cycling the dunes to all sorts of water sports. Noordwijk has been awarded the Blue Flag eco-label of quality many times and is still listed as such. Did I make you curious about Noordwijk? If you want more information about meeting facilities you can contact my friends from Noordwijk Marketing. They can help you with many useful tips without charging a cent.